Sold out! MINI has had so many pre-orders for its new Countryman that it can’t supply a fresh order until next year. But that might be just as well, because the model I reckon will become the most desirable will not be available until March 2011. 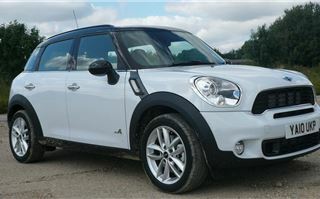 That is the MINI Cooper Countryman diesel automatic with four-wheel drive. The specification ‘wish list’ of many of my readers. True you can get a diesel Yeti with DSG auto and four-wheel drive, but that's about it. There's an automatic four-wheel drive Juke, but it isn’t diesel. The closest aside from that is a Nissan Qashqai diesel automatic four-wheel drive, but that’s more of an SUV than a car. 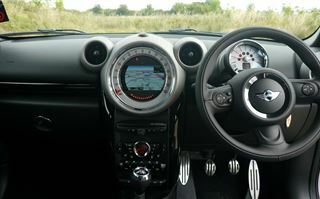 The engine comes with 90bhp in the One or 112bhp in the Cooper, and 215Nm or 270Nm torque from 1,750rpm. 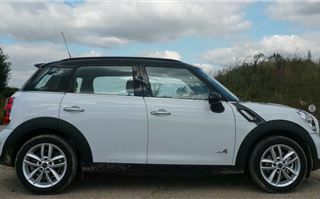 Petrol engines, all also 1,598cc, are 98bhp in the One, 122bhp in the Cooper and, with the benefit of a turbo, 185bhp in the Cooper S. Torque is 155Nm, 160Nm and 240 to 260Nm on overboost in the S.
Standard tyre sizes are 205/60 R16, 205/55 R17, with the inevitable option of 225/40 R19s, which we were not invited to try. Both the Cooper D ALL4 and Cooper S ALL4 were on 205/55 R17s, but the stiffer suspension of the S gave it a much crashier ride over speed humps. The ALL4 four-wheel drive system is fully automated, normally giving drive to the front, but adding the rear when necessary or when the ‘Dynamic’ drive setting it selected. When left to its own devices it can, if necessary, direct all drive to the rear wheels. That’s pretty much what the average driver wants in a car, so when he or she encounters difficult conditions the car just gets on with it without the driver having to remember any complicated instructions. And it works well. The car can make ascents it would not be able to negotiate in two wheel drive alone, and with the DSC switched fully off so it did not interfere, it was capable and fully controllable in mudbath conditions. 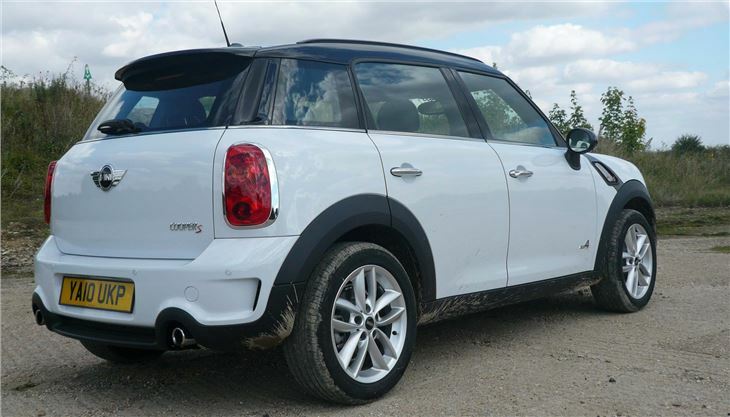 Though the Cooper S is obviously the most powerful for press-on drivers, I think the obvious choice for most will be the Cooper diesel. It’s powerful and torquey enough, comes in at 115g/km, so £30 tax, and even with 4WD is only 129g/km, like the Toyota Urban Cruiser. I guess the ALL4 automatic, arriving in March 2011, will be a bit more, probably 140-150g/km, but that’s the least price you have to pay for this type of drivetrain. Can you get the family inside? I like the interior. You don’t have to glance across to the dinnerplate sized central speedo because your road speed is also displayed digitally in the centre of the line-of sight rev counter. 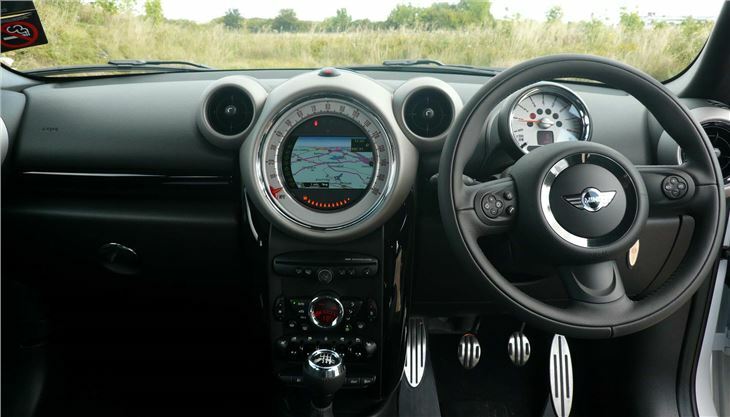 The driver’s seat and steering wheel are fully adjustable in all directions and because the rev counter and speedo move with the wheel you never obscure them. 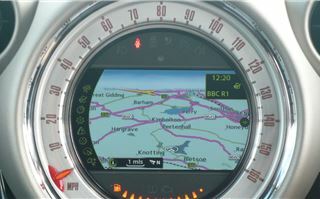 The (optional) satnav screen is in the middle of the speedo. Out back, standard Countrymen come with sliding seat squabs split 60/40 and folding backrests split, like the X1, 40/20/40, making best used of the space available. 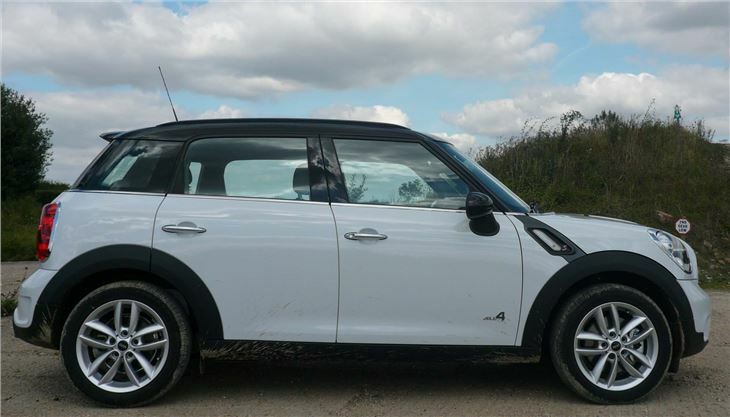 There’s lots of headroom (the Countryman is actually 10mm taller than the X1), and the back seats are easy to get in and out of. Four seats, rather then 5 are optional, but bring the benefit of an extended centre rail system that carries accessories, which can be electrically powered from it. 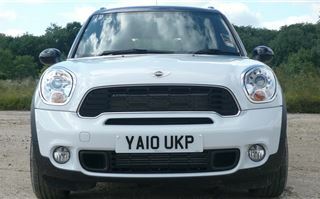 Useful extras include a bike rack that fits onto special chassis legs at the rear and which allows the tailgate to be opened while bikes are on the rack. There’s also a full range of top boxes that fit onto the standard strengthened roof rails. 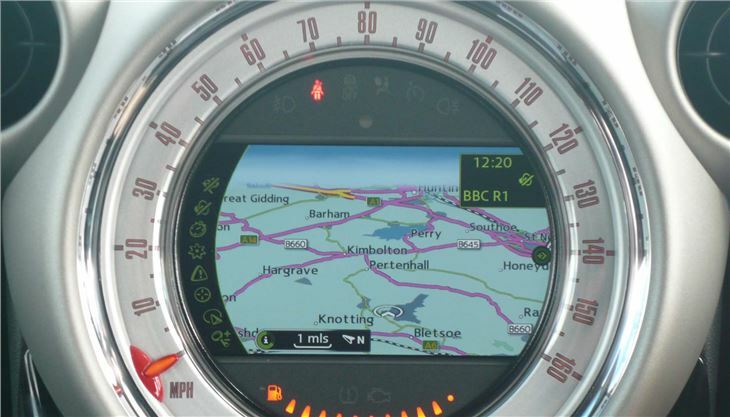 It’s one of the first medium cars to come with DAB radios as standard, as well as standard Bluetooth. 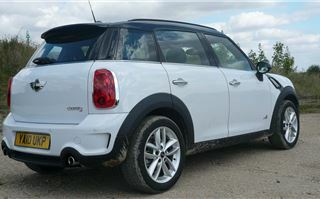 And BMW is taking the Countryman rallying. It will participate in 5 – 6 events in the 2011 World Rally Championship to develop the car. Then participate fully in the 2012 championship. Well the fact is a lot of people already have, without even seeing the car. 3-year residuals are quoted at 45% - 48%, which reduces cost of ownership over three years and leads to relatively low leasing rates. BMW regards it as an alternative to the Qashqai. 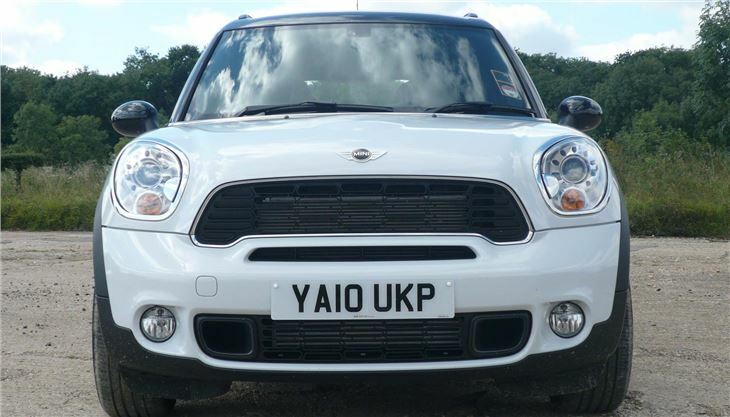 I’d say it’s more of a rival to the Juke, the Yeti and the Toyota Urban Cruiser. 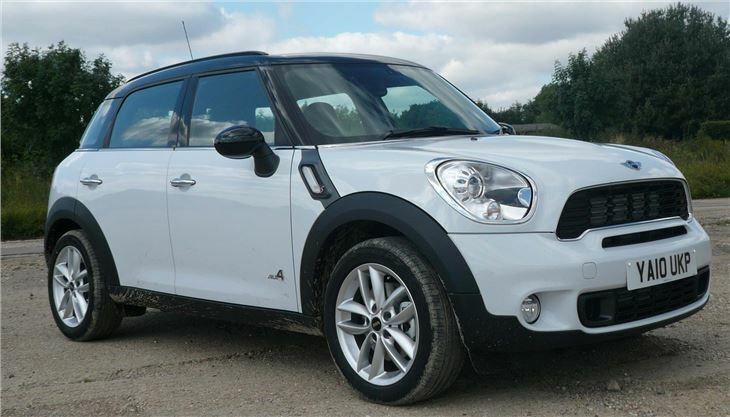 But it offers enough to choose it for sensible reasons rather than just because it’s a MINI.